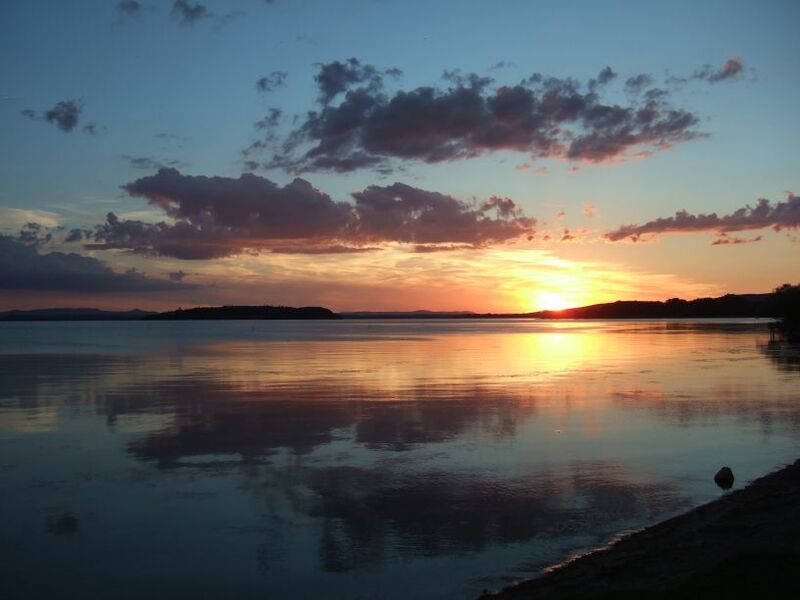 Trasimeno is the shrunken remains of a large expanse of water, partially tectonic and partially sedimentary, which developed in Pliocene times between 7 million and 1.5-2 million years ago. 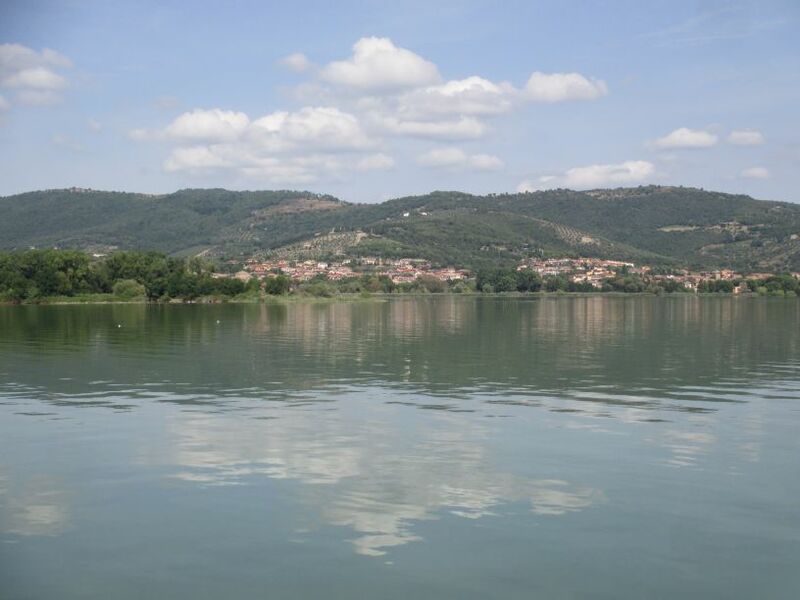 Lago Di Trasimeno is region made up of eight different communities or municipalities - Castiglione del Lago, Citta della Pieve, Magione, Paciano, Panicale, Passignano, Piegaro and Tuoro. 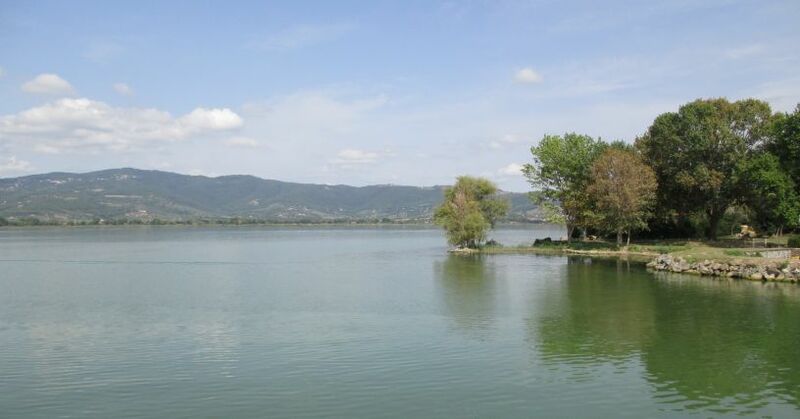 Many of the inhabitants live near on the shores of Lake Tresimeno whose tourist activities e.g. 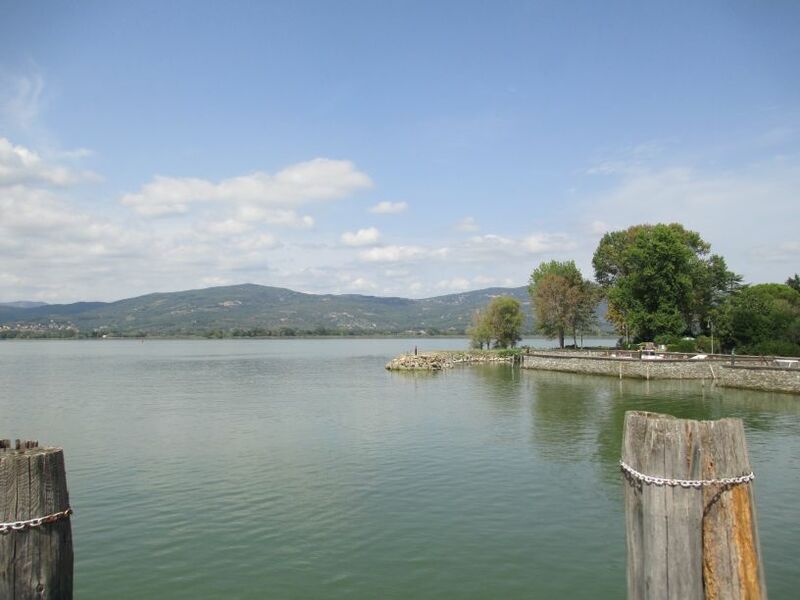 water sports like kayaking or windsurfing, fishing and tourist visits to the islands Isola Maggiore and Isola Polvese. The lake was well known to the Etruscan civilisation and the Romans followed in their footsteps, but most of these towns became important and more prosperous in Renaissance times. Lake Trasimeno, Umbria, Italy: Lake Trasimeno is the largest lake on the Italian peninsula, part of the province of Perugia, in the Umbria region. 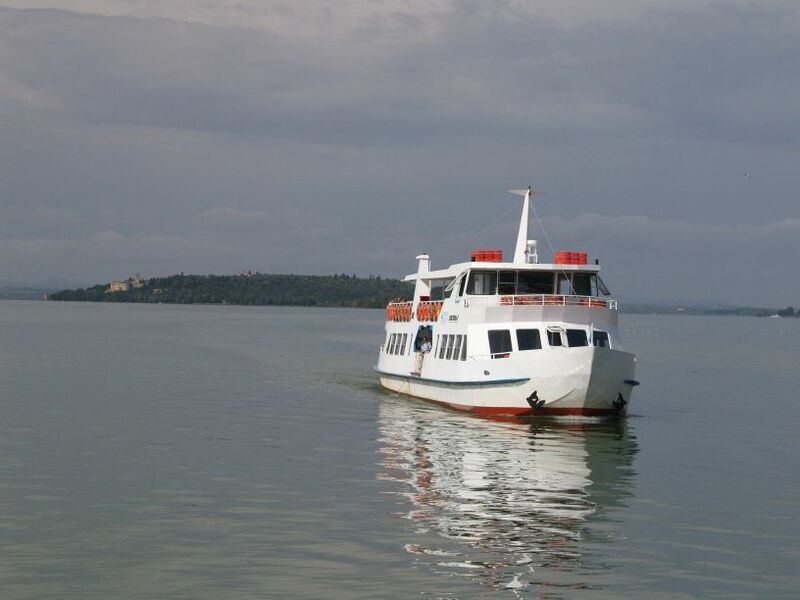 Lake Trasimeno, Umbria, Italy: The tourist ferry boat CONCORDIA II on Lake Trasimeno. 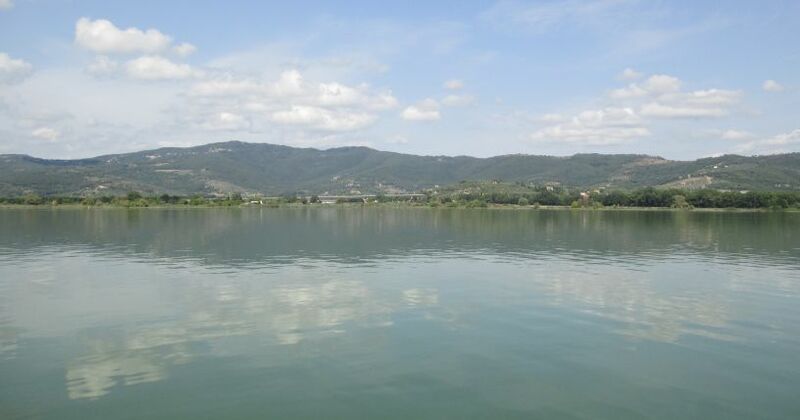 There are three islands in the lake of which the largest is Isola Polvese. The second largest, Isola Maggiore, is the only inhabited one and a small fishing village, which reached its height in the 14th century, and today has only around thirty residents mostly making their living from tourism. Lake Trasimeno, Umbria, Italy: View of Lake Trasimeno from the harbour jetty on Isola Maggiore. 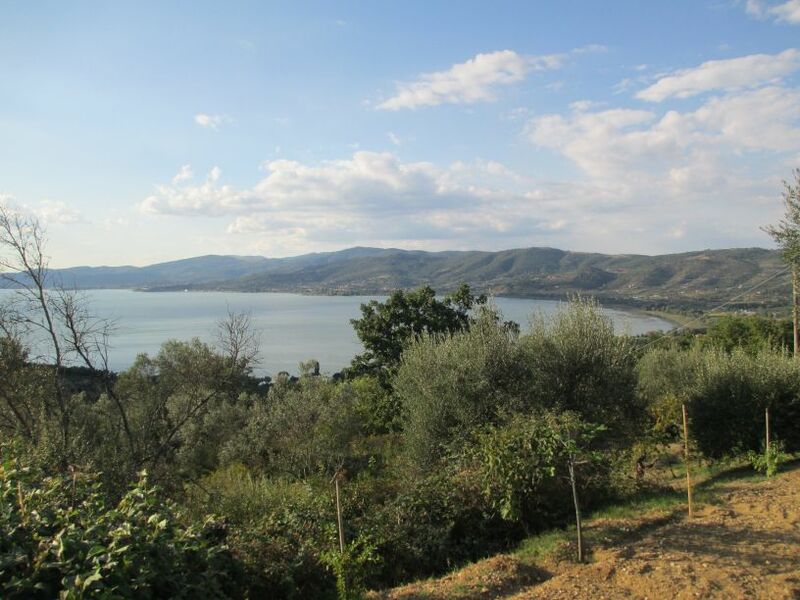 Lake Trasimeno, Umbria, Italy: No major river flows directly into or out of Lake Trasimeno hence the water level fluctuates significantly according to rainfall levels and the seasonal demands from the towns, villages and farms near the shore. 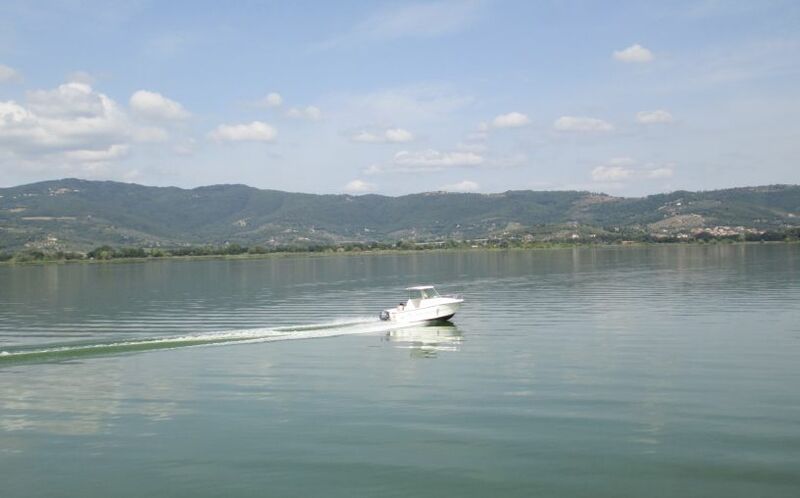 Lake Trasimeno, Umbria, Italy: Its a lovely place to sail your yacht or dingy, though the tranquillity may be disturbed by a passing powerboat. 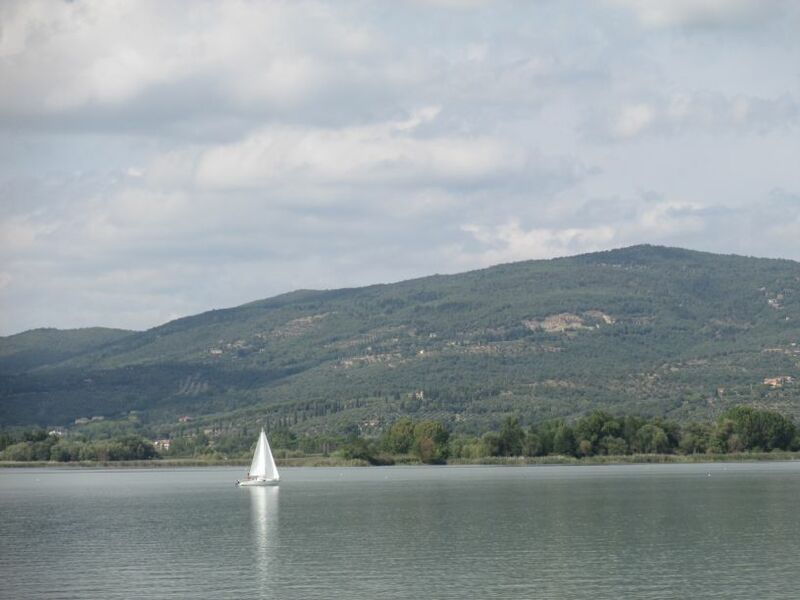 Lake Trasimeno, Umbria, Italy: The first civilisation to inhabit this area was the Etruscans and three of the main Etruscan cities - Perugia, Chiusi, and Cortona are within 20 kilometres (12 miles) of the lake. There is little evidence of Etruscan civilisation or later Roman settlement though Castiglione del Lago, has some Roman ruins and its main streets are symmetrically laid out in the style of a Roman town. Lake Trasimeno, Umbria, Italy: The lake is situated between the gentle rolling hills near the border of Umbria and Tuscany. Lake Trasimeno, Umbria, Italy: Along the shores there are many historic towns whose origins lie in antiquity. 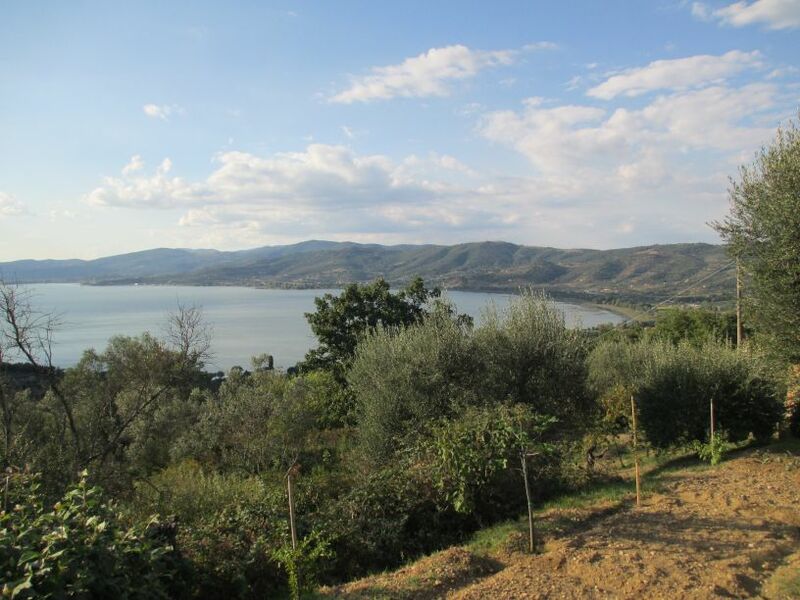 Lake Trasimeno, Umbria, Italy: Half of Trasimeno is surrounded by hills, rich in olive groves that are an important agricultural resource - olives and olive oil. 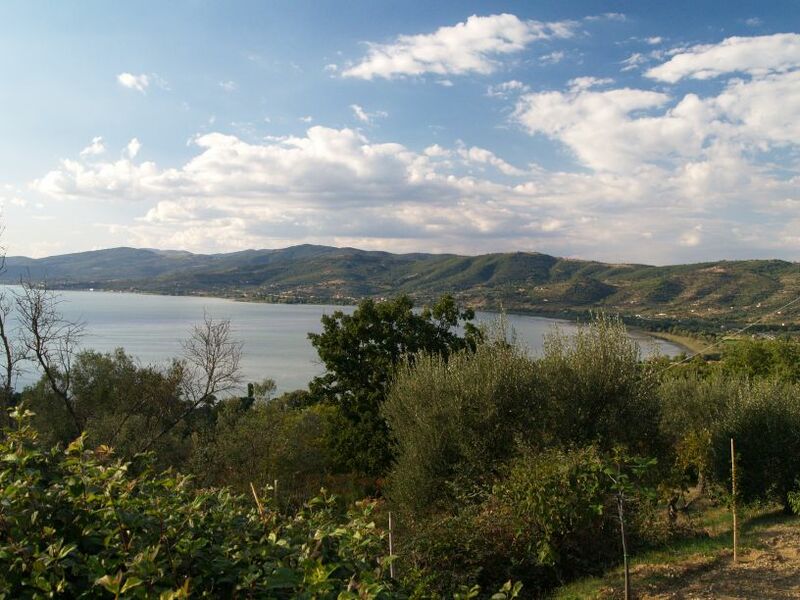 On the western shore, near Tuscany, there are vineyards, and fruit and vegetables are grown. Other vegetation includes pines, willows and poplars around the shores. Lake Trasimeno, Umbria, Italy: View from above Passignano. Lake Trasimeno, Umbria, Italy: Sunset over the lake at Passignano, this side of the lake gives the most stunning evening light effects at sunset.